1) The d4-pawn provides control on e5 and c5-squares. The outpost on e5 is especially important because with the support of the bishops it can lead to a strong kingside attack. 2) The isolated d4-pawn contains a breakthrough potential, which can be realized by advancing the pawn via d4-d5. It opens up the position and the development advantage begins to play its role. 3) At the same time, if black experiences lack of development, white can easily exchange off the minor pieces on d5, which leads to yet another pawn structure with the black’s weak d5-pawn. 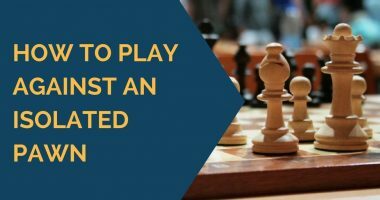 If you possess an isolated pawn, you should generally focus on converting it in the middlegame stage of the game. 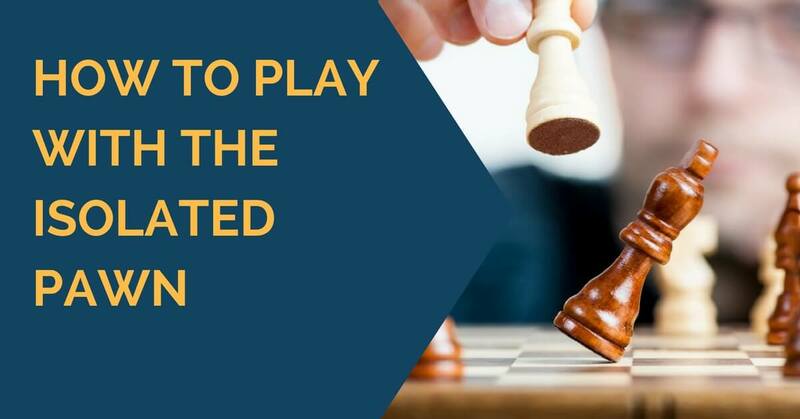 If you simplify the position right away or exchange off into the endgame, the isolated pawn is likely to become a weakness. One of the plans consists of creating a pawn break d4-d5. This plan is possible when black doesn’t control the important d5 square. Plan’s effectiveness mainly depends on the superior development of white’s pieces [or simply put – the initiative]. 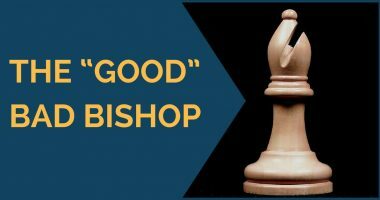 Let’s take a look at a very good example of this plan in action from the game GM Igor Bondarevsky – NM Gregory Ravinsky. White has successfully realized its material advantage to win the game. This example shows that underdevelopment of black pieces can result in the quick d4-d5 break, giving a strong initiative to white. The second plan is the breakthrough and keeping the opponent’s weak pawn under control. The idea is not only to fix your own weakness but also to prevent your opponent’s pieces from developing in an optimal way. This plan was successfully realized by GM Boris Spassky in his game versus GM Salomon Flor. In this game, Spassky decided to trade the queens and proceed to realize his positional advantage. However, that was not the best plan here. A better option was retreating the queen to the kingside and proceeding with the attack. Idea 2. You can attack with your pieces supporting the advance of f-pawn. 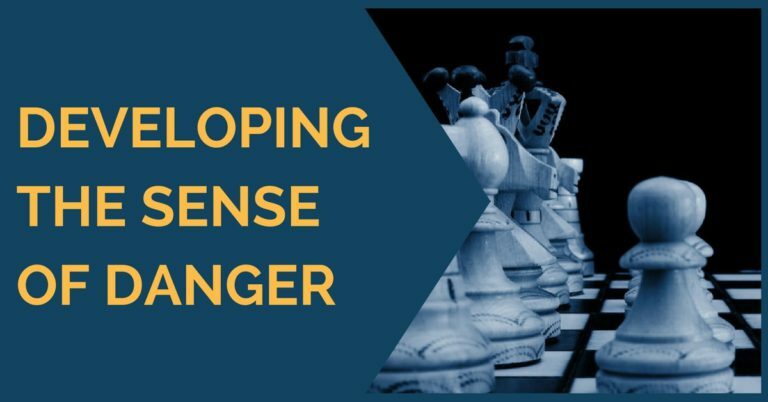 An example of attacking the kingside will be shown in the game between GM Miguel Najdorf and GM Aleksandr Kotov. Although it was a semi-closed position, white has decided to play a rather risky maneuver: transferring the rook to h3. It lost a tempo, but Najdorf correctly evaluated the position and understood that it’s leading to a decisive attack. The fourth plan for playing with an isolated pawn is to utilize the open c-file. This plan can be successful in the case of the weakness of c6 (or c3) square. This idea will be demonstrated in the next game between GM Gregory Levenfish and GM Igor Bondarevsky. In this example, white traded pieces, simplifying the position. As you already know a player possessing the isolated pawn usually avoids all unnecessary trades. However, Levenfish had a very concrete plan. Contrary to the rules, he traded pieces because this was part of the plan for occupying the c-file and launching an attack towards the weaknesses on the queen’s side. The weak c6 square played a crucial role in that position. White was threatening to play Nc6 – fork, winning a pawn on a7. The best defense for black was to opt in for a passive defense and play Ra8 defending the pawn. It would give black good chances for a draw. That’s why I consider this plan not the best, but playable under certain situations. I hope you will use these isolated pawn plans and ideas in your own games. I want to remind you that if you want to win in those positions you should realize your chances in the middlegame, avoiding transitioning into an endgame. If you go into the endgame, be sure that your opponent has more weaknesses than you. If not, your isolated pawn becomes a serious weakness.